Our MD Gethin Roberts recently met with Chris Grayling, the Secretary of State Transport. As a respected spokesperson within the industry, Gethin raised a number of subjects with Mr. Grayling to gain further knowledge on what is being done to support drivers, UK roads and the logistics sector as a whole. The behind the scenes aspect of goods and products are often overlook, but professional drivers and our industry is the beating heart of the country. This is why it’s so important to ensure the smooth-running of commercial road operations, whether it’s to do with road conditions, connectivity or opportunities for future drivers and the driver shortage. Firstly, they discussed better ways that logistics companies could spend their apprenticeship levy in order to support the retention of drivers and assist with the driver shortage that is still very much a primary issue within the industry. Gethin emphasised that a reduction in classroom-based training would be conducive for both companies and individuals who are looking to become professional drivers. In place of this, more attention could be put on Licence Acquisition as it makes more sense for trainee HGV drivers to acquire more experience from inside a cab as opposed to inside a classroom. Learning theory, is of course, important but putting it into practice straight away could add a stronger element of preparation for hauliers. Roadworks on motorways were briefly touched on with Gethin enquiring about restrictions on the length and number of roadworks on any one motorway at any given time. This was a point that Chris Grayling certainly agreed with, whilst being understanding that existing works would need to continue as planned. As Gethin met with Chris at Crewe Train Station, they also discussed creating a dual carriageway between Crewe and Nantwich. 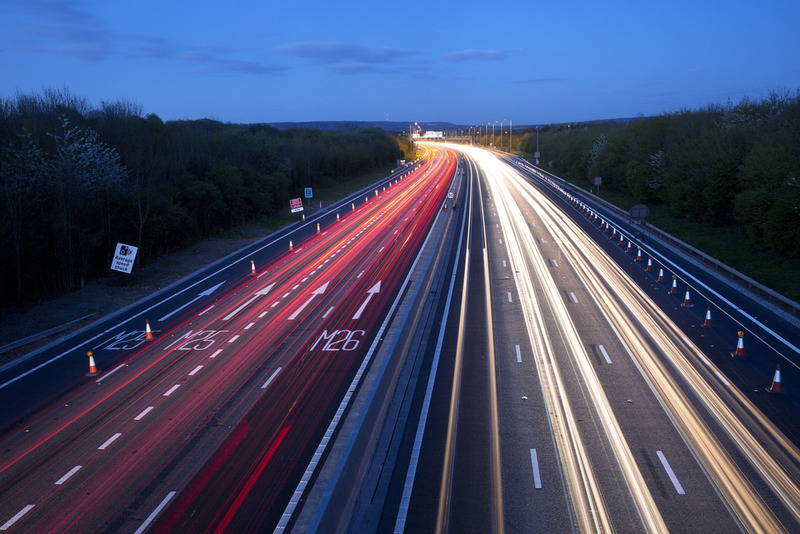 The A500 could be dualled from the M6 – J16 through to the first Crewe roundabout – creating better traffic flow. 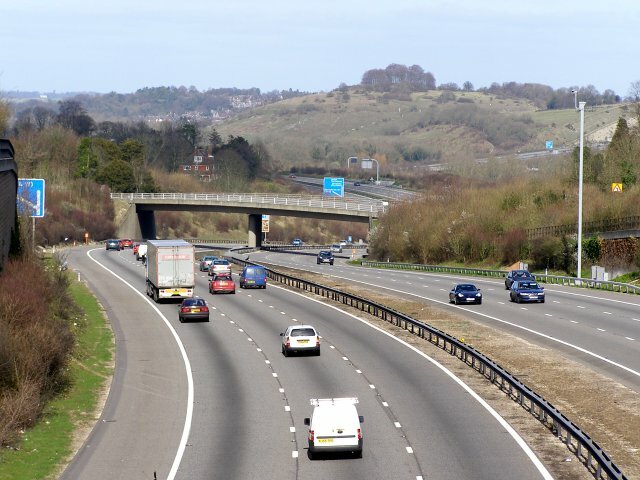 The advantages of building a strong road infrastructure across the UK, East to West, are also recognised by Chris and his department and Gethin was informed that they are currently exploring a number of options to support this. We hope to see some positive changes to UK roads and more importantly, a decrease in the current driver shortage. Do you have any thoughts on the areas that Gethin covered with Chris Grayling? Tweet us at @DriversDirect. We are thrilled to announce that we have opened a new Drivers Direct franchise in Bury St Edmunds on Angel Hill – the latest addition to our network of branches across the country as we look to expand to keep up with the growing demand from our clients. On 4th February, local photographer Andy Abbott came along to document the launch and take photos of Drivers Direct MD Gethin Roberts and the Bury St Edmunds team, including Franchise Directors John and Bev Major, as well as Recruitment Consultant, Lewis Abel. Our new office will offer more jobs in both the professional driving and recruitment industries to East Anglia. We’ve appointed John & Bev Major as directors, following their success heading the Northampton office. We’re looking forward to building a strong client base in the region and we’ve already had an encouragingly high volume of temporary HGV drivers pre-register. With plenty of narrative surrounding driver shortages in the UK circulating in the media over the last couple of years, we feel it’s a step in the right direction for the sector to be opening another branch and creating more opportunities in the industry. If you’d like to register for any upcoming jobs, give our team of friendly professionals a call on 01284 763476 to see what we have available. Christmas is just around the corner and we can’t believe how quickly the year has gone – it feels like just yesterday that we shared our year in review blog last December. We’ve had an excellent year here at Drivers Direct, from being finalists in a number of business awards to having another successful annual charity ball. The ball was the perfect opportunity to raise money £2500 for the NSPCC and we’re looking forward to presenting them with their donation at the beginning of 2019. As our last blog post of 2018, we thought we’d take the opportunity to acknowledge someone else that works just as hard as Father Christmas at this time of year! 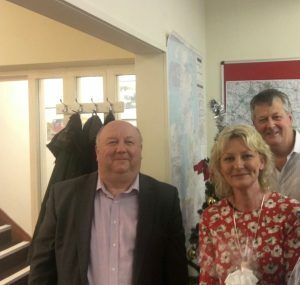 Our MD Gethin Roberts has made it a Christmas tradition to visit all 21 of our branches to personally deliver presents, including bottles of fizz and chocolates. Gethin spends 2 weeks on the run up to Christmas, travelling from branch to branch to visit all of the teams. 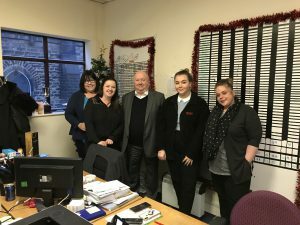 He feels it is important for all the Drivers Direct employees to be able to put a name to a face, giving the business a personal feel which might not necessarily be given in a company as large as Drivers Direct. As Managing Director, Gethin puts a lot of effort into boosting morale and creating the feeling of truly being a part of a team for all employees. Our mission statement is also applicable to our employees, as we strive to give them plenty of opportunity within their career and the support of a big company, whilst also offering the personal touch of a small company. This is something that Gethin upholds as he travels up and down the country every Christmas time without fail. For Drivers Direct it’s all about making our employees feel valued and appreciated and what better time to do that than at Christmas? A very Merry Christmas and a Happy New Year to one and all from Drivers Direct. The thought of a career change is a prospect which is exhilarating and daunting in equal measure. The endless opportunities and the chance to completely change your day to day activities is an incredibly exciting thought, but then the question must be asked: how do I even start a new career? For those thinking about switching lanes (pun very much intended) and making the move into a career as a professional driver, we have a simple message: you’ll be choosing a rewarding career, and help is out there to make this a reality. Now, as a professional driving recruitment firm, of course we’ll say it’s a rewarding career – but here’s why. Working in the logistics and transport sector can mean flexible hours – ideal for those looking to start a family. The industry is one where you’re always supported by a dedicated team and build strong relationships, but the ability to travel the country has a sense of autonomy. Then there’s the salary benefits – the supply chain is an industry the country simply cannot function without, and of course a career in logistics can lead to opportunities in management and running your own fleet. The first thing to consider when thinking about becoming a professional driver is whether you have the characteristics to suit the work. You must enjoy driving, employ patience, possess a strong knowledge and respect of road safety, enjoy your own company, display strong self-motivation and be in good physical condition. There’s more to the job than sitting behind the wheel though, you’ll likely plan delivery schedules and routes with transport managers, monitor traffic reports to make sure your routes are clear, as well as carrying out general maintenance checks on your vehicle before and after journeys. To become a professional driver, youmust be 18 years old or over and hold a full car driving license. The next stage would be to find a reputable local LGV learner driver training provider, take & pass your test and then receive CPC Training, here at Drivers Direct we’re a JAUPT accredited CPC Training Centre – as we said, the help is here. We offer training to our own drivers on behalf of our clients, as well as in-house training for prestigious transport companies. Via our website, we also offer a free digital tachograph simulator download which includes interactive tutorials which will take you through the different types of tacho machines. In terms of working hours, they could vary but in a permanent position you can be expected to work up to 42 hours a week and overtime may be available, but the laws are strict (for good reason) on the number of hours spent driving and working in between rest breaks to ensure the safety of all road users. We have a wide network of branches throughout the UK, offering vacancies for all classes of driver, you can view the positions here. We operate within a wide range of sectors including postal, food production, DIY, building trade, general haulage and clothing distribution. If you’re looking to hit certain requirements, as a customer of Drivers Direct, we can help you do that – why not get in touch and see what we can offer to your business to reach its goals? It’s been hard to ignore the b-word that’s been on everyone’s lips and in the media since 29th March 2017. Brexit has no doubt been the talk of the country and the world for that matter. Ever since the referendum results were announced there’s been numerous companies offering their perspective on what they think it will mean for not just the UK but also their own businesses. With Brexit we’re plunging into the unknown and the UK want answers. With the recruitment sector and Brexit there’s been worries over talent shortages and questions over movability, especially as the recent whitepaper released by the Government stated that there would be free movement. The report aims to offer a clear vision of what they want to achieve upon exiting the EU – but many are still feeling very much in the dark. The one saving grace is that the UK plans to negotiate an arrangement that would allow UK nationals to visit the EU for short-term businesses purposes and vice versa for EU citizens. This would offset any pressure on companies that have link to the EU, for example other offices or business partners. However, some businesses have expressed their doubt in the Government’s ability to proceed successfully with Brexit plans. The second quarter of 2018 has also seen some recruitment difficulties across various sectors including manufacturing, retail and hospitality – right down to fruit farmers, who are facing a lack of seasonal labourers leading to produce spoiling with too few hands. It’s vital that UK businesses are brought out of the dark to find out what they can expect following the introduction of Brexit. Recruitment in the professional driving industry, particularly with HGV drivers, is experiencing a similar issue to the fruit farmers. Workers from the EU are staying in their home countries instead of coming over to the UK for work due to the uncertainty that Brexit poses as we near the leaving date with very little decisions made for the industry. The Government is still working out the knots for their Brexit plans but the professional driving industry is already experiencing driver shortages, meaning clarity is urgently needed not only for UK businesses, but EU workers too. 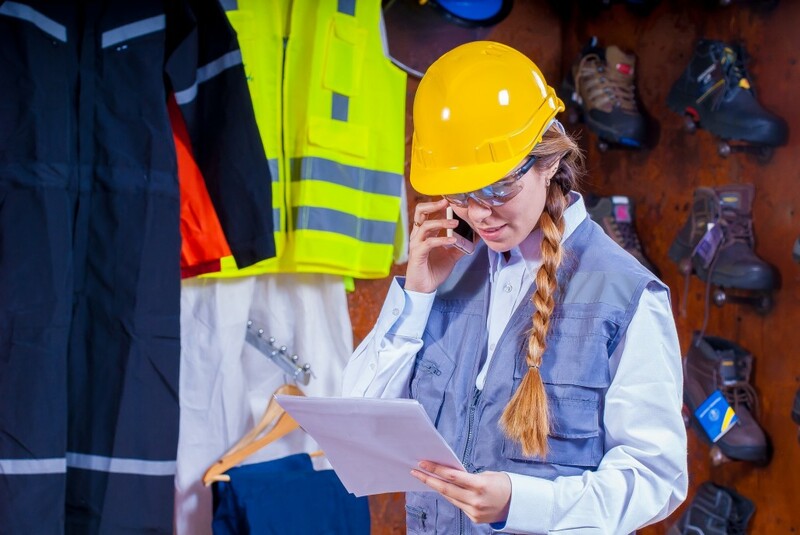 Association recently told industry press that although the recent whitepaper had offered positive proposals for certain areas of the logistics industry, issues such as the security of job status for skilled EU workers are still unspoken for. The free movement of workers between the UK and EU needs to have further explanation, as well as providing reassurance to businesses who depend on those workers for the continuity of their deliveries. Over 45,000 HGV drivers from Europe currently work in the UK; without the appropriate working permits, job losses could have a serious effect on the industry. It’s safe to say that there’s been a lot of upset over the thought of the UK leaving the EU, with some even claiming it’ll have an apocalyptic effect! At this stage in the game, we’re hoping for clarity for the recruitment sector as a whole, as well as what Brexit will mean for foreign drivers and working permits. As an area that was lightly touched on in the Brexit whitepaper compared to other aspects of logistics, we hope to see a lot more discussion on it in the coming months. There’s no doubt that leaving the UK’s Armed Forces can be a daunting prospect, regardless of how long you’ve served. Moving from the structured lifestyle of the forces to the quieter life as a civilian is a huge life-changing event and the rate of each individual’s transition varies depending on their experiences. With this in mind, it should be remembered throughout this post that no two ex-service personnel are the same. Here at Drivers Direct, we feel very passionately about helping ex-servicemen and women back into civilian life. With our MD Gethin Roberts being an ex-serviceman himself, we understand that it can be difficult to get used to normal everyday life again. Last year we were proud to raise £2,500 for the Victory Services Club in London following our annual employee black-tie ball. We’re very supportive of the work they do as they aid both serving and ex-service personnel and their families. Service personnel possess a great wealth of skills and a second-to-none work ethos that is truly unique. Their skills can be so specialised that they may feel they have the wrong qualifications to work in a civilian role – but this isn’t the case! In the Armed Forces, there’s a real sense of camaraderie and family where you’ll spend each day with the same people – leaving that behind can seem strange. Not having the same weight of responsibility put upon yourself each day will also appear to be a strange concept, but our company prides itself in helping ex-service personnel into the professional driving industry. As we recruit for temporary and flexible driving positions, we’re a great avenue for slowly introducing yourself back into the world of civilian work; and you could even find your new career. Currently in the UK the logistics and delivery sector are experiencing a driver shortage which is in vital need of a solution and with Brexit drawing closer, this shortage has been predicted to worsen. Being a professional driver for Drivers Direct brings many perks, offering a flexible lifestyle and the option to pick the jobs you want to do. You’ll also have the chance to travel around the country, and meet fellow drivers and Logistics personnel. As a Logistics professional you’ll have your managers and fellow drivers and people you meet on the road to interact with, but you’ll always have your own personal space in your own cab. To find out more how Drivers Direct can help you transition from the Armed Forces into a professional driver career, please get in touch with us. Last week was Employee Appreciation Day and it got us thinking about our fantastic Drivers Direct employees. Employee Appreciation Day is all about rewarding, recognising and appreciating the work that employees do. Here at Drivers Direct we believe this is important as the staff across our branches are all ambassadors of the business. Every summer we hold an annual ball giving our employees recognition for their service, commitment and achievements within the business. It’s also a great opportunity for our teams to let their hair down and have a fun evening with their colleagues, outside of the working environment. Last year, Luke Davies the branch manager of our Cardiff office won a trip to New York after the branch was awarded for being the most successful of the year. Other awards include, trips to London and Paris, or long-service awards for those who have been with us for 5 years. To further show our appreciation for our staff, prizes are given to a ‘Consultant of the Month’ in each Region and there’s an annual visit to the London Comedy Store for senior managers. Employee benefits also include vouchers and we also have a policy for promoting within to encourage development at the company. Our culture here at Drivers Direct has been labelled as unique, honest, open and fair, and we strive for this consistently throughout our branches. We also understand that our employers are the key to our success and that’s why we work hard to recognise and rewards their efforts as a way of showing our appreciation for that they do. If you’d like to work with us, you can see all of your job listings on our website. With tachograph tampering being a hot topic over the last year we thought we’d explore and delve into the issues that surround it. Tachographs have an integral part to play in HGVs and commercial vehicles as they record driving time, breaks, rest periods and other types of work carried out by the driver. When the UK joined the EEC (European Economic Community) in 1973, a social regulation was accepted under the treaty of Accession to support the work of lorry and coach drivers. In 1979 the UK was held in breach of the rules and regulations and new legislation was put in place to make sure all commercial vehicles had tachographs installed by the end of 1981. Fast forward to 2006 and the digital tachograph was born and compulsory for all new commercials registered on or after 1st May 2006. More recently, tachographs have seen a lot of attention in the news and, unfortunately, this isn’t because they’re incredibly helpful and useful to the wellbeing of drivers. A BBC investigation found last year that there had been a 21% increase in tachograph tampering compared to 2016. In a bid to crack down on these misdemeanours, the Driver and Vehicle Standards Agency (DVSA) carried out 223,000 roadside checks between April 2016 and March 2017 – a move we fully supported. During that time, the DVSA found 400 drivers that had crossed the border into the UK and were using “interrupters” to switch off their tachographs. A Bulgarian driver was stopped in North Wales for using an “interrupter” and driving non-stop for 23 hours. Using such a device disables a lorry’s advanced braking system and speedometer – a dangerous move which poses a threat to all road users. The whole concept certainly begs the question of why drivers would cheat their tachograph and risk their own and other road users’ safety. Are unscrupulous businesses themselves putting the pressure on drivers through their company culture of looking the other way, making it appear to be the norm for drivers to exceed their legal hours? There’s also the darker side, are some drivers distracted by the attraction of more money and finding that tampering with a tachograph is a short cut to this? Alternatively, could these unscrupulous business owners be allowing this and looking the other way? The consequences of breaching the use of a tachograph start with penalties of up to £5000. A prison sentence isn’t out of the question either, as was found with two former haulage directors who conspired with drivers to tamper with tachograph records. They both received sentences of 2 years and 18 months and had some hefty fines to pay. On a more serious level, crimes of this nature have caused a tragic amount of unnecessary deaths on the road. According to The Royal Society for the Prevention of Accidents driver fatigue may be a contributory factor to 20% of road accidents and 25% of fatal or serious crashes. Here at Drivers Direct, we work closely with all our clients and together we take the safety of HGV drivers very seriously and of course others on the roads. The dangerous decision to tamper with a tachograph can have devastating consequences, with this in mind it’s of vital importance for logistics operators to communicate with their employees and vice versa. If a driver is feeling concerned about meeting strict deadlines, it must be addressed in a safe and legal manner. One conversation with an employer could discourage break skipping and, in turn, save a life. Here at Drivers Direct, we encourage plenty of communication between drivers and management, creating a culture where all can bring forward any issues they may have. We hope that other businesses follow – for the sake of drivers’ physical and mental wellbeing and the safety of our roads. It’s December already and we can’t quite believe where the time has gone as we edge into the New Year. We’ve been reflecting on this past year at Drivers Direct, thinking about our success and the achievements of our team. In February, we became members of the Association of Recruitment Consultancies (ARC) – following our MD Gethin Roberts’ attendance at an ARC presentation. We found that our objectives and values ran parallel to ARC which was a deciding factor for joining, as well as the association covering issues that really matter to those working in the recruitment sector. May saw us through to the finals at the Global Recruiter Awards in the Best Use of Social Media Category for our anti-drink driving campaign; where we used striking posters to show the devastating effects of drinking and driving. It was fantastic to have been nominated for the category and a great day was had by all at the Café de Paris in June. We had our successful annual black tie ball for our employees back in May, showing recognition to the branches whose hard work has really shone through over this past year. The Doncaster office was named as one of the most successful branches with their manager, Jason Hardisty winning a trip to London. Kaylie Parker at the Eastleigh branch won a trip to Paris following their win of the ‘Highest Margin’ title. After providing Drivers Direct with 5 top quality years of service, Christopher Unsworth of the Leyland branch, David Dawson of the Sheffield branch and Maxine Mew of the Sutton branch were each given the ‘Five Year’ award – a well deserved nomination. As the most top performing franchise, Manchester won ‘Franchise of the Year’, as well as a cheque for £1,500. Scooping one of the top awards, Nana Bempong was dubbed ‘Employee of the Year’ as he was the most successful employee out of all the branches – quite the accolade! As the Cardiff office was recognised as the most successful branch of all, manager Luke Davies, won himself the coveted trip to New York. After creating a shortlist of charities to support at our annual ball, our staff chose the Victory Services Club which is a great cause which offers respite and welfare breaks, rewards and recognition along with a free membership for serving Armed Forces. Everyone who attended our annual ball made a donation and in September we presented our donation to the club, having raised £250,000 for the charity – an achievement we’re incredibly proud of. We hope with our donation further enables the club to give the best possible experience to those serving in the military, past and present. All in all, it has been a great year for Drivers Direct. What’s on the cards for 2018? We’ll be opening 3 more branches, as well as setting our sights on moving to a bigger HQ as we look to further expand the business. From all of us here at Drivers Direct, we hope you have a very Merry Christmas and a Happy New Year!